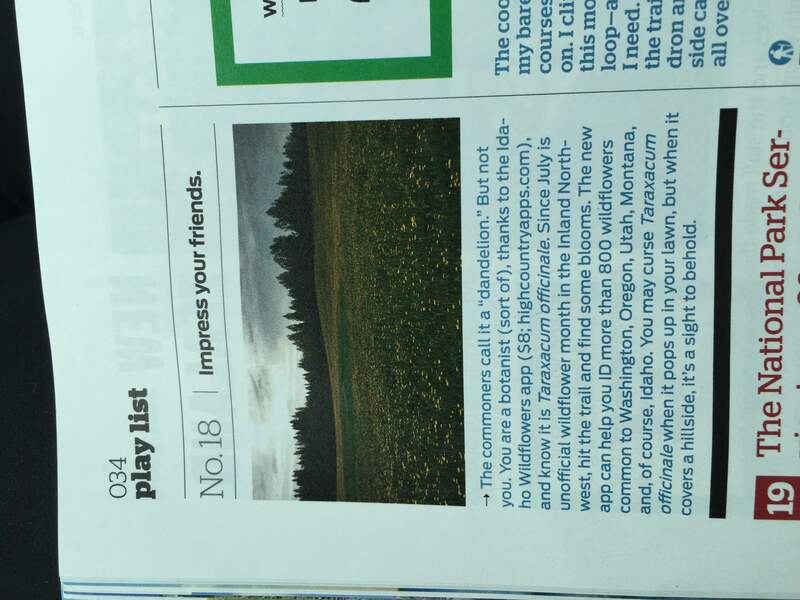 The University of Washington Herbarium at the Burke Museum has partnered with the University of Idaho's Stillinger Herbarium, Idaho State University's Ray J. Davis Herbarium, Mark Turner, and High Country Apps to produce Idaho Wildflowers, a plant identification app for smart phones and tablets. The app provides images, species descriptions, range maps, bloom period, and technical descriptions for more than 805 common wildflowers, shrubs, and vines that occur in Idaho and adjacent areas of Montana, Washington, Utah, and Oregon. Designed for both budding wildflower enthusiasts and experienced experts, Idaho Wildflowers will appeal to individuals who travel to wildflower areas and are interested in knowing the names and natural history of the plants that they encounter. Idaho and its adjacent areas are home to diverse landscapes containing a wealth of wildflowers, shrubs, and vines. Idaho Wildflowers is also a great educational tool for learning more about plant communities, botanical terms, and how to identify plants in general. "I'm no expert but this app has many more flowers specific to my mountainous southern and central Idaho region than any of my book guides. Easy to use and extremely convenient. A must have!" "I own a few of High Country Apps and I must say I just love them all. Idaho Wildflowers is great with a lot of species compared to the other apps. Other than that...I would definitely recommend adding this to your digital field guide collection!"